You can search the large database of songs with full titles, or partial titles. For example you can search for "Blue Moon of Kentucky" or "Blue Moon" or "Moon Of" and you can search by songwriter or by artist, or any combination. Search our extensive library. 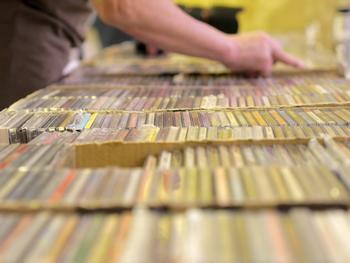 Currently there are 34728 songs in the library, on 3320 CDs by 2275 different artists. You can enter a songname or a part of a songname, and the same with an artist name, CD name, even a songwriter. Want to know all the songs in the library written by Brink Brinkman? or Bill Monroe? Or that most prolific songwriter Traditional? This is the place.